Note: Do not try to clean your ears on your own if you have a hole or a tube in your eardrum. Also, if your symptoms persist, consult your doctor. 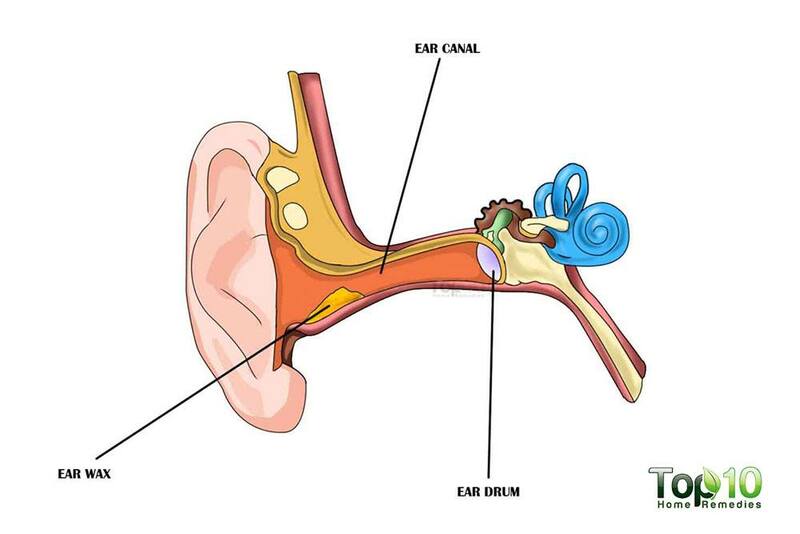 Everything in the body has a purpose and earwax is no exception. Earwax is important to the health of the outer ear canal, as it provides protection, lubrication and antibacterial properties. Your ears produce earwax constantly, so that there is the right amount in your ear canals. However, sometimes wax can accumulate excessively, resulting in a blocked ear canal. When earwax or gunk builds up in your ears, they can feel plugged up and it may even affect your hearing. Other symptoms are aching in the affected ear, fullness or ringing in the ear, an unpleasant odor coming from the ear, dizziness and even a cough. Excess buildup dirt, bacteria, and other debris in the ear can increase the risk of infection, which can cause pain in the middle ear, fluid drainage and impaired hearing. People who use hearing aids or ear plugs as well as older people and people with developmental disabilities are more likely to develop excess earwax. Usually, earwax works its way out of the ear naturally through chewing and other jaw motions, but you need to safely remove earwax from the outer ear. Here are the top 10 ways to clean your ears safely at home. 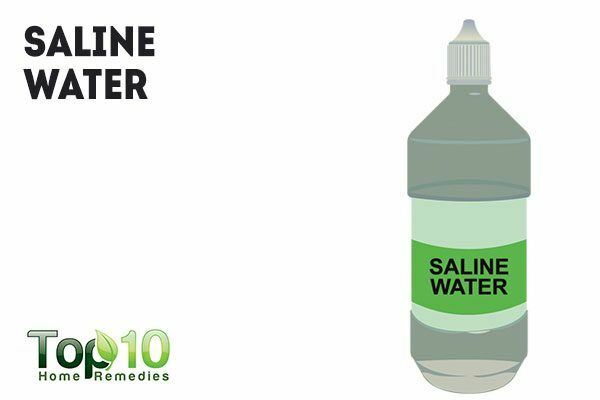 Saline water is used in ear syringing, a method commonly used to clean ears at home. A saline solution can also be used effectively without a syringe. It helps soften the accumulated wax, making it easy to get rid of. Mix 1 teaspoon of salt in ½ cup of warm water. Stir until the salt is completely dissolved. Soak a cotton ball in the solution, tilt your ear toward the ceiling and squeeze a few drops into the ear. Hold your head in that position for 5 minutes. Tilt your head in the opposite direction to allow the saline water to drain out. Clean the outer part of your ear with a clean cloth to remove the softened wax. Note: The saline solution should be at body temperature to prevent dizziness. You can simply use clean and purified warm water to drain the ears of earwax. Water is very gentle to your ears and can help dislodge the wax. 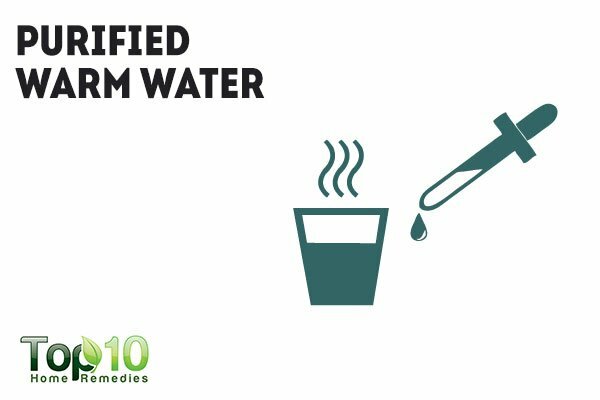 Be sure the water is purified to reduce the risk of bacteria causing more harm inside the ears. Boil a little water and allow it to cool down to room temperature. Fill a dropper with the water. Tilt your head toward the ceiling and put drops of the warm water directly inside the ear. Allow it to sit for about 2 to 3 minutes. Tilt your head in the opposite direction to drain the water from the ear. Use cotton balls to clean out the dislodged earwax and other particles. Hydrogen peroxide is another very common method for cleaning out your ears. It will soften the wax and its effervescent action, which may cause fizzing or popping sounds, will help bring the wax closer to the outer surface for easy removal. Mix equal amounts of water and 3% hydrogen peroxide. Fill a dropper with the solution. Using the dropper, put the solution into your ear while keeping it tilted toward the ceiling. Wait 5 to 10 minutes or until the fizzing sound stops. Tilt your head in the opposite direction to allow the solution to run out. Use a clean cloth to remove any residue you find near the outer part of the ear. Use this remedy no more than once a week. 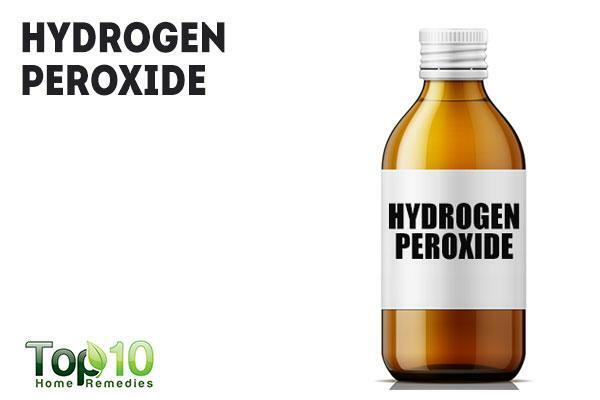 Note: Do not use hydrogen peroxide if you have a perforated eardrum or a history of ear problems. Another effective method to clean wax out of your ears is using a mixture of white vinegar and rubbing alcohol. 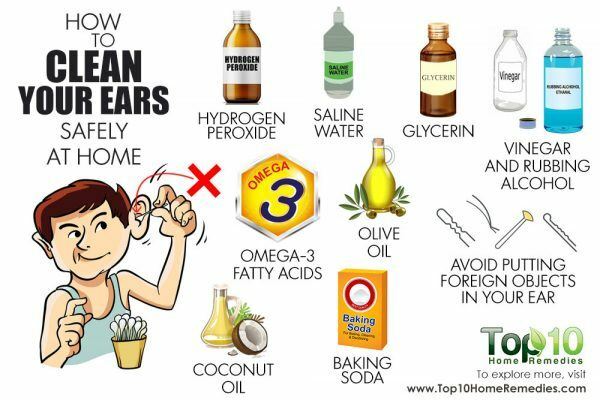 While the vinegar helps dissolve the earwax and prevents the buildup of bacteria inside the ears, rubbing alcohol dries up the liquid that might be left in the ears. 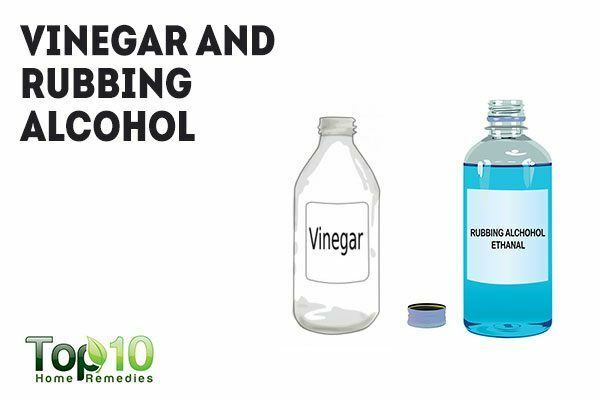 Mix white vinegar and rubbing alcohol in equal amounts. Squeeze a few drops of the solution into the ear while keeping it tilted toward the ceiling. After 3 to 5 minutes, tilt your head in the opposite direction to allow the solution to drain out along with the earwax. Using another cotton ball, remove any residual gunk from the outer ear. 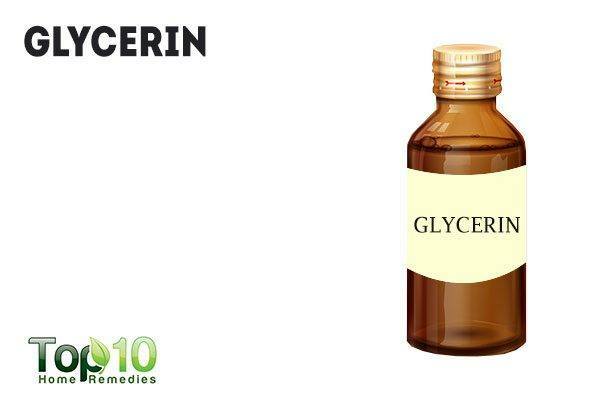 Glycerin is also effective in getting rid of earwax. It will help soften the earwax, so that it can be easily taken out of the ear. Keep the affected ear titled toward the ceiling. Using a dropper, put a few drops of glycerin into the ear. Allow it to sit for 5 minutes by placing a cotton ball in the ear opening. Take out the cotton ball and tilt your ear in the opposite direction to allow the liquid to drain out. Clean out the softened wax using a soft cloth or cotton ball. 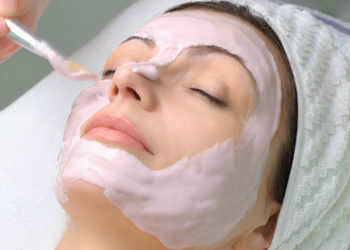 Olive oil also works as a simple and readily available wax-softening agent. This oil will help get rid of wax without affecting your ears negatively. 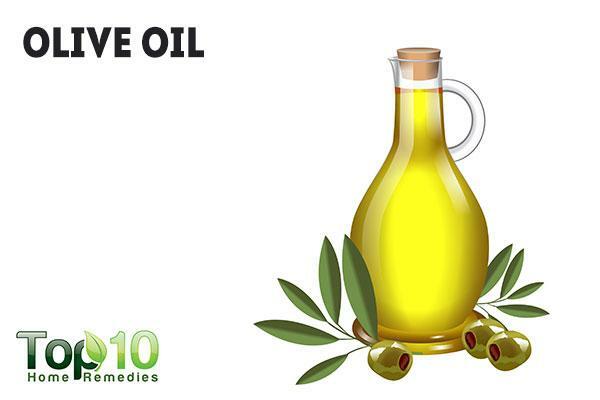 Using olive oil means you do not have to worry about dryness or irritation, as the oil will coat the sensitive skin in your ear and protect it. Pour a few drops of lukewarm olive oil into your ear. Cover the opening of the ear with a cotton ball. Lay on your side, with your covered ear facing upward for 10 minutes. Remove the cotton ball and tilt your head in the opposite direction to drain out the extra oil. Clean the ear opening with a soft cloth. Instead of olive oil, you can also use mineral oil or almond oil. Coconut oil is safe for ears as it contains medium-chain fatty acids, just like sebum (the oil naturally produced by glands in your skin). 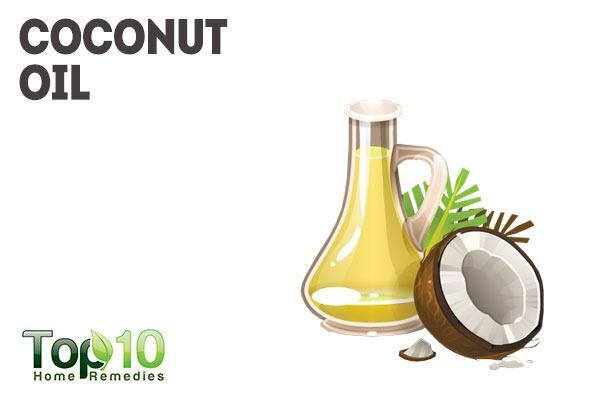 Coconut oil is also a natural antimicrobial agent and reduces the risk of your ears getting infected. It may actually kill a wide variety of harmful microorganisms that may be present due to the buildup of earwax. Warm coconut oil in the microwave for a few seconds until it melts. Fill a dropper with the oil. Tilt your head toward the ceiling and put a few drops of oil into your ear. Stay in this position for 5 to 10 minutes. Tilt your head in the other direction and allow the oil to drain out. Clean out any extra oil as well as the earwax and other debris with a cotton ball. In order to soften the hard earwax and clean your ears of other debris, you can also use baking soda. Add ¼ teaspoon of baking soda to 2 teaspoons of water. 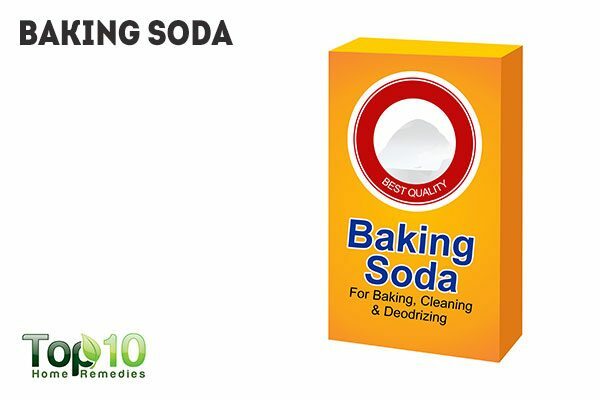 Mix thoroughly so that the baking soda dissolves completely. Tilt the affected ear toward the ceiling and put in 3 or 4 drops of the solution using a dropper. Allow to sit for about 10 minutes. Put a little warm water into the ear using a rubber-bulb syringe to help clean your ear. Tilt your head in the opposite direction to allow the liquid to drain out. Finally, clean the outer ear with a dry cloth. Excess buildup of earwax can be a sign of an omega-3 fatty acid deficiency in the body. Hence, correcting the deficiency can help resolve the problem easily. 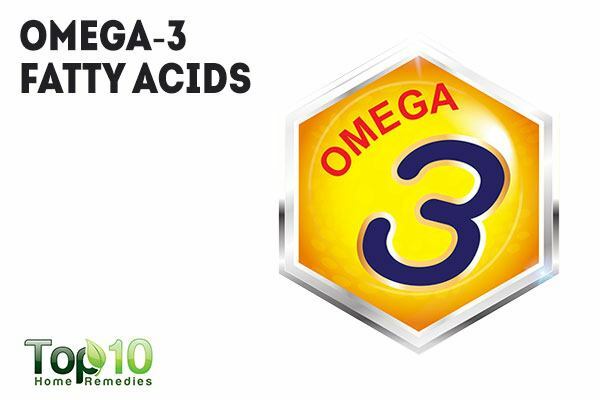 Omega-3 fatty acids can help get rid of toxins in the body, including inside your ears. Include foods rich in fatty acids in your diet. Some good dietary sources of these fatty acids are sardines, anchovies and salmon, along with flaxseeds and walnuts. You can also take a supplement, after consulting your doctor. Normally, ear canals are self-cleaning and should not need to be cleaned with any foreign devices. 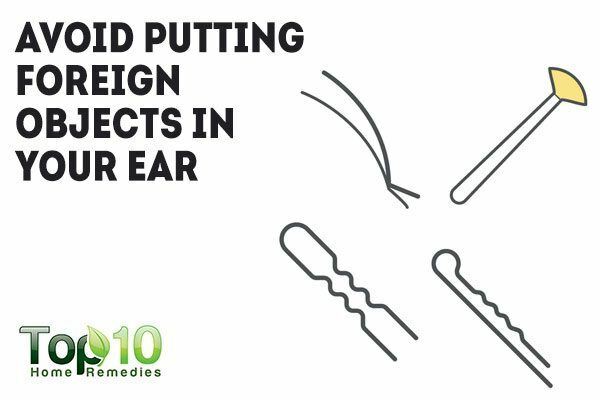 However, if you need to clean your ears, you must avoid using foreign objects in order to do it safely. Using foreign objects run the risk of damaging the eardrums, which can eventually lead to hearing loss. Never clean your ears with long, pointy objects like twisted napkin corners, paper clips, bobby pins, or car keys. Avoid using cotton swabs. They tend to just push the wax deeper into the canal, causing blockage. Do not use ear candles, as they can cause serious injuries to your ears. Simply clean the outside of your ears using a warm, damp washcloth. If you prefer not to try cleaning your ears at home, you can visit your doctor to get the wax buildup removed from your ears. You can also use over-the-counter ear drops that soften earwax. Always follow the instructions on the package. Avoid irrigating your ears if you have diabetes, a weak immune system, a hole in your eardrum or a tube in the affected ear. Limit your exposure to loud noises. Take regular breaks from using your headphones, and keep the volume low. Dry out your ears after swimming to prevent swimmer’s ear. If there is drainage from your ears, see your doctor as soon as possible. I would like exercise for reducing the hernia. why don’t they cut it out and burn that area. I don’t want mesh. Can I recommend that to my doctor. Hello actually I want to say that on my right side ear little bit eardrum is damaged and precautions taken but the results is not completely ok know its been 9 or 11 years what should I do ….? one of the Best remedy ! !